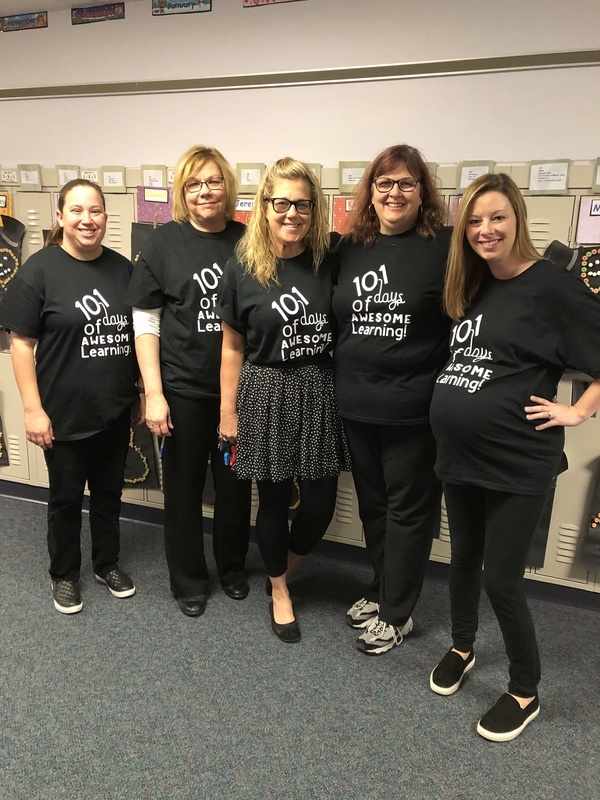 Team B Kindergarten teachers, Helen Reich, Karlin Morgan, Tracy Bowser, Carrie LeBeau, Crystal Gibbons and Student Teacher, Megan Reed-Taylor, had a 101 Day of School Celebration with STEM ( Science, Technology, Engineering and Math) activities. 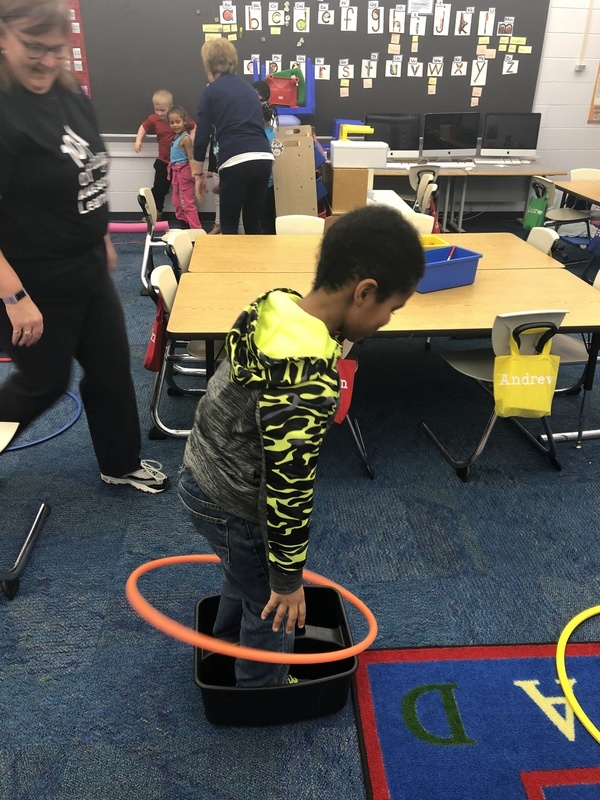 The Students rotated through each teacher's classroom and completed activities to go with the theme of 101 Dalmatians. 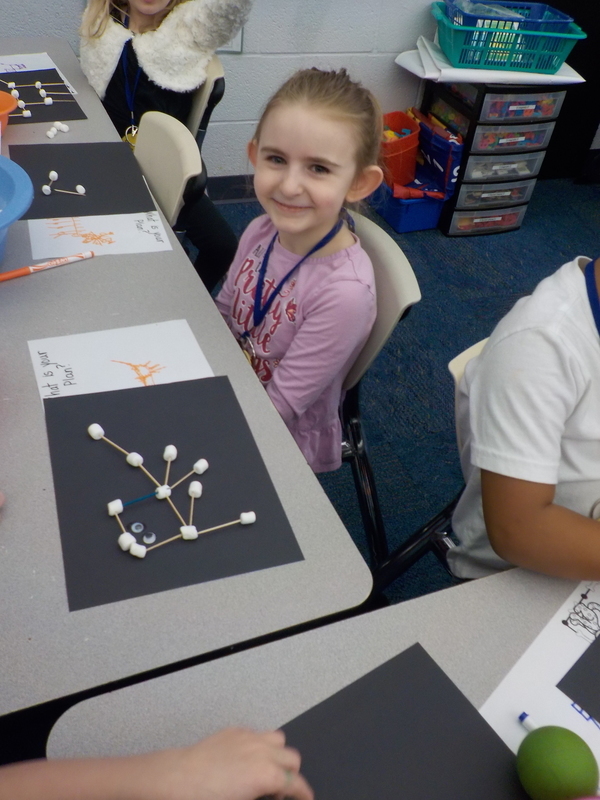 In Tracy Bowser's room the students created 2 -D dogs using tooth picks and marshmallows. 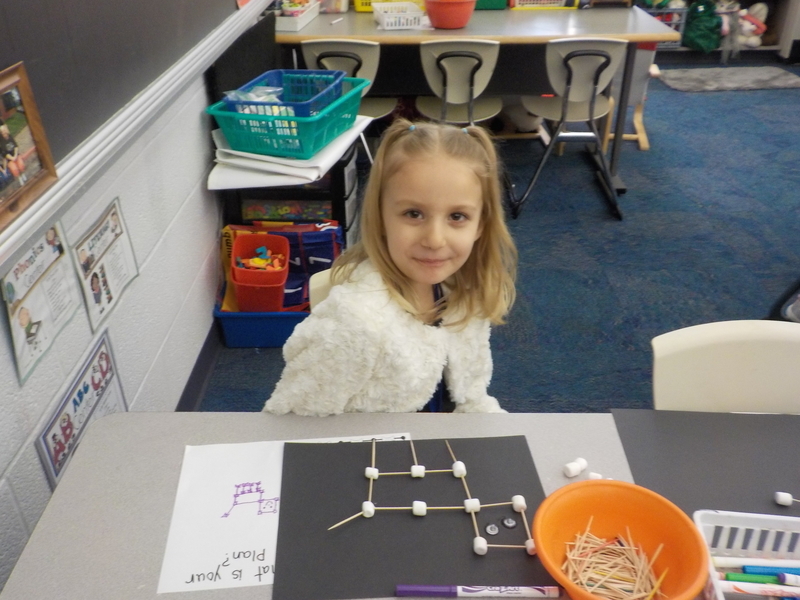 They had to design their dog, create them, and the added the required number of spots on each marshmallow. 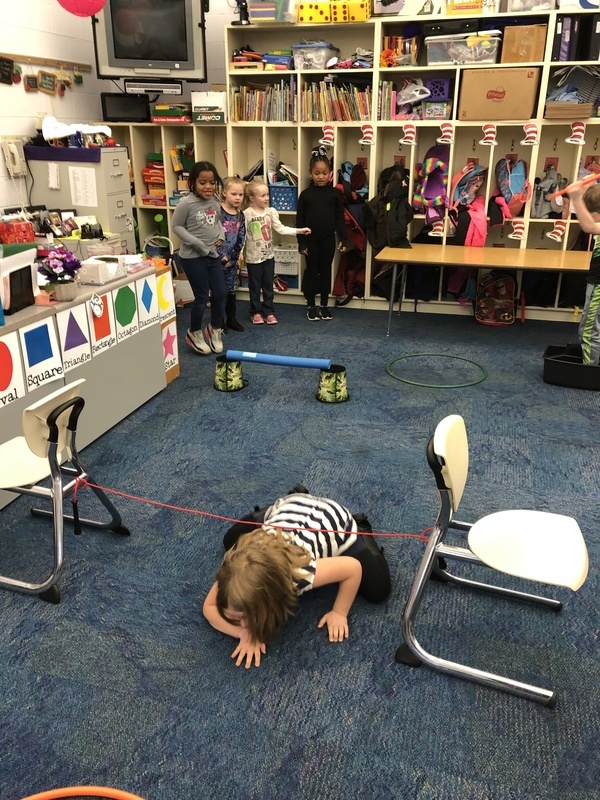 In Karlin Morgan's room, they used Lincoln logs and other building materials to create a dog house to protect their dogs. Helen Reich had them choose a dog and depending on their size, they had to create a food bowl for their dog. 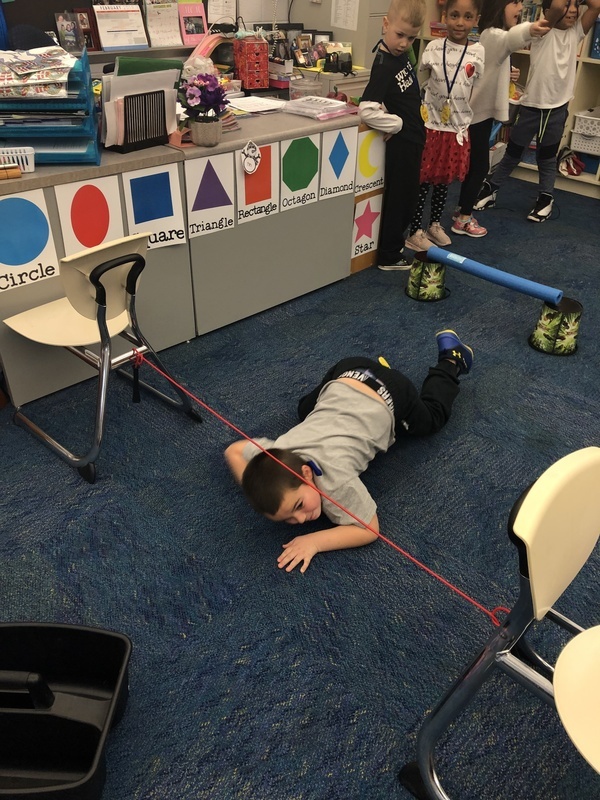 Finally, in Crystal Gibbons' room, the students worked as a team to complete an obstacle course and then designed their own obstacle course for a dog. 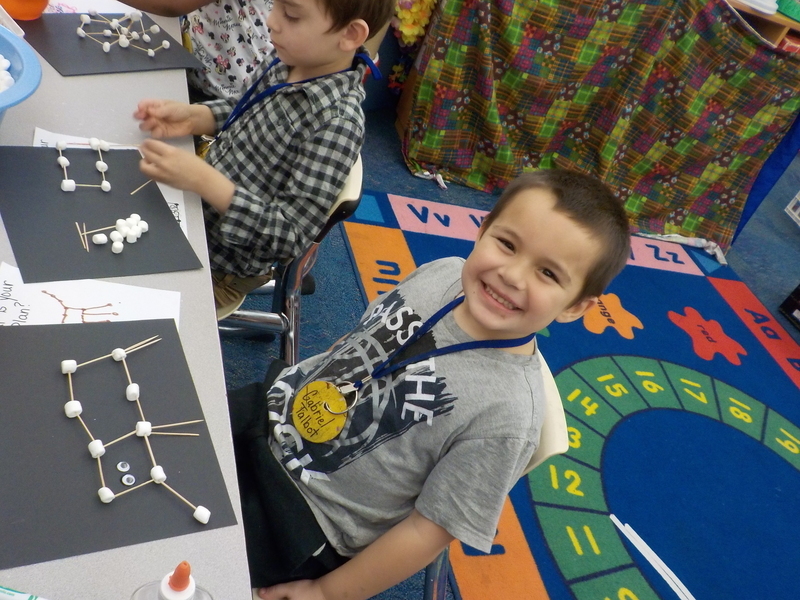 The day was finished with watching the movie, 101 Dalmatians and making dog eared 101 day headbands.